Some £30,000 worth of cannabis plants and an imitation gun was found when police raided a property in Peterborough this morning. Officers executed a drugs warrant in Augusta Close, Parnwell, at approximately 8.20am on Monday November 20. More than 30 plants were seized worth around £30,000 and a replica gun found. 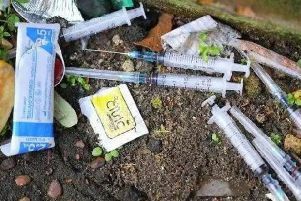 Posting on Facebook, Peterborough Police said: "Yet another successful morning for the Peterborough Neighbourhood intervention team, currently dismantling another drugs factory. "Despite repeated warnings, people are still undertaking the type of indoor gardening and again, we make no apologies for destroying your crop. "On this occasion a replica weapon was found among numerous other weapons which can still cause extreme fear if you're faced with it."